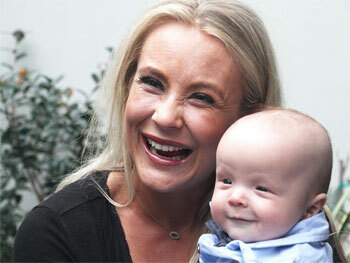 Susie Burrell is a pediatric nutritionist and dietician, Bellamy's Organic ambassador, and mum to 18-month-old twins, Gus and Harry. Susie writes on a range of topics, including infant nutrition, health and nutrition for parents and develops quick and easy recipes for Bellamy's Organic. To read more of her work, visit BellamysOrganic.com. Question: How common is it for toddlers to be fussy eaters? Susie Burrell: Fussy eating is a stage that many children go through between the ages of 1-3 as they begin to exert more control over their environment and do not need as much food as they did <12 months of age. As such parents should expect their little ones to go through a fussy stage and it is how parents and carers respond to this stage which is the most important thing. Question: Why are toddlers often fussy eaters? Susie Burrell: 1) They do not need a lot of food hence can be fussy. 3) They, like us will have likes and dislikes of certain foods. Question: What tips do you have for fussy toddlers? Susie Burrell: Never focus on the fussy eating as what we focus on persists. Offer a limited number of foods per meal and try not to worry if your little one does not eat a lot and most importantly do not offer the toddler other more appealing options such as milk, yoghurt, fruit or bread when they reject the foods you are offering them. Question: How can we ensure our children eat their vegetables? Susie Burrell: Have small/low expectations - as long as they eat a couple of vegetables - raw, juiced, incorporated into meals it is fine and offer positive reinforcement when they do consume them. Do not talk about what they are not eating and add them to meals and juices, and keep them cut up raw and within easy reach. Question: Can you share a recipe with us? 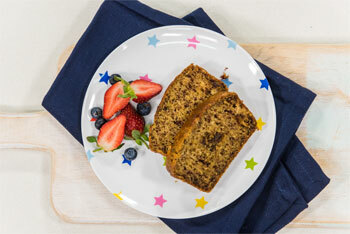 Susie Burrell: Banana Bread is a delicious finger snack for toddlers and is a much more nutritious snack for your toddler than biscuits, cakes and commercial muffins. Combine banana, dates, brown sugar, butter, bicarbonate soda and boiling water. Add flour and cook for 35 to 40 minutes until cooked through – remembering that it is quite a dense recipe. Allow bread to cool and then serve. 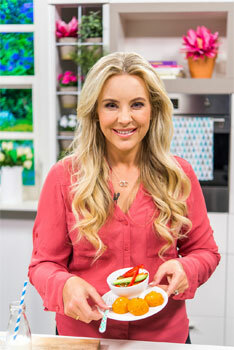 Question: What do you feed your 18-month-old twins, at the moment? They start their day with a small amount of toddler formula and then they share a slice of wholemeal toast, followed by Bellamy's Organic Oats and fresh fruit, usually banana or mango. Then they eat their main meal at lunchtime - usually mixed mashed vegetables and some salmon, turkey meatballs or crumbed chicken. Throughout the afternoon they snack on fruit which they love and a few plain bagel chips their Russian Nanny put me onto. Then at dinner they are often not that hungry so many just a cutlet and few peas, or a piece of chicken and they are always keen to sample whatever we are eating and will have a few mouthfuls of whatever we are eating. Question: What are their favourite foods? 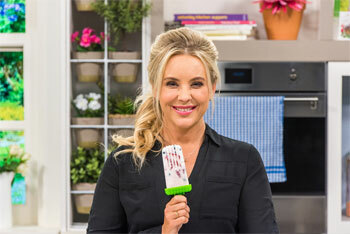 Question: Can you share your five minute meals for busy mums? Susie Burrell: Definitely - cutlets and frozen peas; salmon and mashed pumpkin; or peppercorn lean sausages and frozen vegetables - most of my meals take 5 minutes! Question: How important are family meal times to you? Why? Susie Burrell: Very important as it is the time that the twins are learning how to eat and behave at the table, although there is much work to be done there! I also try and have the twin's grandparents over at least once a week so we can all sit down together. The research shows that children who sit down for a family meal at least 5 x a week have better teenage outcomes. Question: What advice do you have for busy working-mums?